"...As in most cases it is not the excellence of the tools, but the skill of the hand that wields them, that gives the most effect." 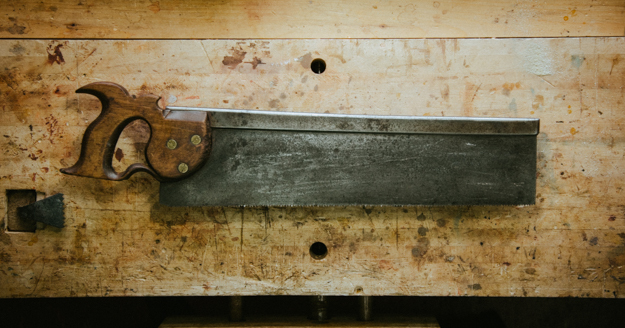 That's a beautiful English saw. It would still be a beautiful saw if I sawed my tenon cheeks half sideways with it, though the tenons might be for the fire. She's pretty and she's a decent worker. Just what I need!